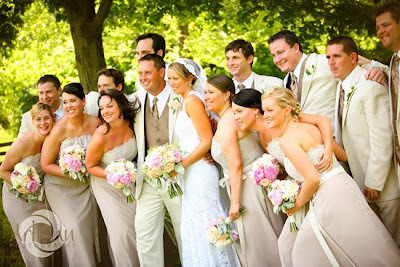 Here is another of our favorite weddings so far this year. 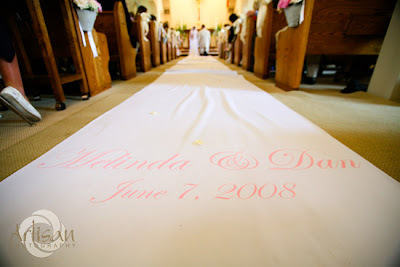 Melinda M. and Dan K. had a gorgeous wedding on 6-7-08 at Ascension Chapel and The Gardens at Malmaison. 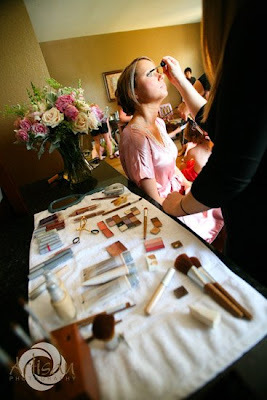 We helped out with the flowers and LOVED how they reflected the personality and style of the bride and the whole event! Photos by Tim Pastor, Artisan Photography. Here’s a tip for all the men out there (Hint, Hint! 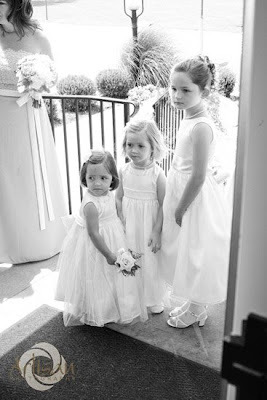 ): Dan sent his bride of vase full of wedding flowers for her bridal suite to enjoy while getting ready for the big day! 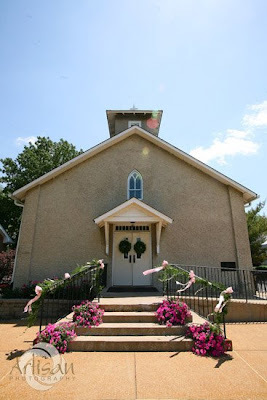 We decorated the outside of the chapel with greenery wreaths for the doors and garland and bows on the railings. Metal buckets filled with garden flowers in wedding colors decorated the aisle. The bride carried all garden flowers and greenery: pink peonies, sahara roses, Queen Anne’s lace, link waxflower, dusty miller. The whole wedding party. 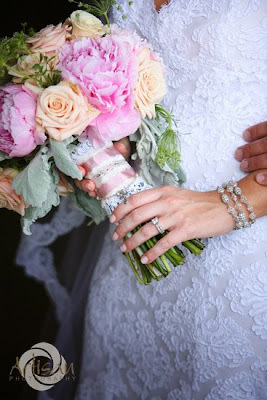 The Bridesmaids carried bouquets of the garden theme that included, peonies, roses, astilbe, dusty miller. Melinda brought us these clay pots that had an old world finish to them. She wanted to keep the earthy theme and told us to make them gorgeous. We filled them with awesome roses, peonies, dusty miller, waxflower, astilbe, etc. 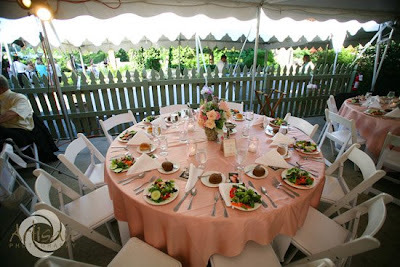 to give the ceremony and reception a cohesive look. Special thanks to Liz with Proposing Dreams for making sure everything went smoothly. Best wishes to the newlyweds!! 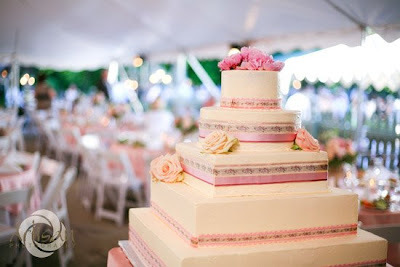 We enjoyed being a part of your day.